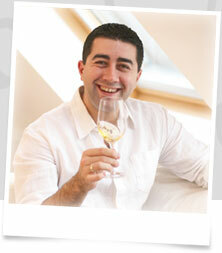 I will assist you in finding wines to suit your own taste and budget. It is vitally important to note that good wine need not be expensive. Wines can be good or not so good throughout the whole range of prices. Value is much more important! This is where sound advice can save you a great deal of money and also enhance your enjoyment. Should your interest extend to fine and rare wines then I will be pleased to advise on the acquisition of the legendary "Greats" from the old world, the excellent new wines such as those from noted producers in California, or Italian "Super Tuscans", and of course vintage Champagne. All items copyright © 2008 and onwards, Vincent Gasnier Wine Consultancy, unless otherwise stated. Web Site by twentysix Leeds.